Who is at Fault for a Changing Lanes Car Accident? There are a variety of common reasons that car accidents occur. A driver might be drunk, distracted, or too tired to drive safely and collide with another vehicle at a stop; or by drifting out of his or her lane. Aggression can lead a driver to make unsafe choices on the road and cause him or her to collide with another vehicle. Sometimes, drivers simply misjudge their surroundings and collide with other vehicles or stationary objects. In all of these scenarios, property can be damaged and people can be injured. If another vehicle crashes into yours while trying to change lanes and you suffer an injury, you can seek compensation for your damages related to the accident through a personal injury claim. The driver who enters a lane of traffic is at fault for an accident stemming from the entrance. In any personal injury claim, fault needs to be assigned. Fault, also known as negligence, refers to a party’s failure to act with reasonable care to protect others from harm. Drivers have the duty to operate their vehicles in a safe manner and obey the posted traffic laws to avoid causing accidents. When a driver merges into a lane of moving traffic and crashes with another vehicle, the merging driver is at fault for the accident. This is true in all cases, whether the driver was merging from one lane of moving traffic into another or if he or she was moving from an acceleration or deceleration ramp onto a roadway. It is possible for more than one driver to be at fault for an accident. For example, if one driver misjudged the space available in the next lane and merged into a driver who was speeding, both drivers can potentially be deemed to be negligent and share the blame for the accident. When this happens, a percentage of the fault for the accident is assigned to each driver. 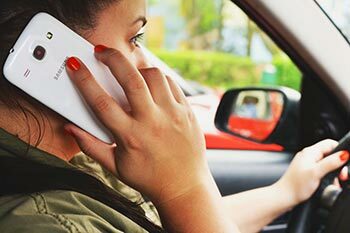 Any driver who holds 50 percent of the fault for an accident or less can recover compensation for his or her damages, but the total amount of compensation he or she can recover is reduced according to his or her level of fault. For example, if an individual is 30 percent at fault for an accident, he or she can only recover 70 percent of the compensation he or she would otherwise be entitled to receive. Did the Driver Obey Texas’ Laws for Changing Lanes? Drivers must signal before changing lanes. If you have proof that a driver did not signal before merging, you can use this to demonstrate his or her negligence. If the driver violated one or more laws when he or she caused your accident, the officer attending the scene should note these violations in the official police report for the accident. This is why it is so important to call the local police and have an officer fill out an official police report if you are involved in an accident, regardless of how minor the accident seems or your role in it. The official police report is an important piece of documentation that you can use as evidence to support your personal injury claim. Also, most insurance companies rely heavily on the accident report when assigning fault. When there is no accident report, you are usually left with a he said, she situation, which always makes filing a claim more difficult.